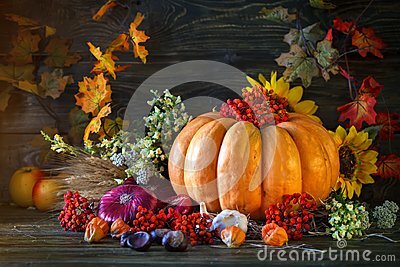 Wooden table, decorated with vegetables, pumpkins and autumn leaves. Autumn background. Happy Thanksgiving Day background. Harvest.